Line the bottom of a casserole dish or jelly roll pan with graham crackers. Melt half of the chocolate and pour over the graham crackers. Use the back of a spoon or an offset spatula to spread the chocolate to evenly coat the graham crackers. Set aside. In a large sauce pan, melt the butter. Pour in the marshmallows (reserving a handful or two to mix in later) and add the salt. Stir until the marshmallows are completely melted. Pour marshmallow mixture over the Rice Krispies. Fold the melted marshmallows into the cereal until all the cereal is coated. Add in the reserved marshmallows and stir to combined. 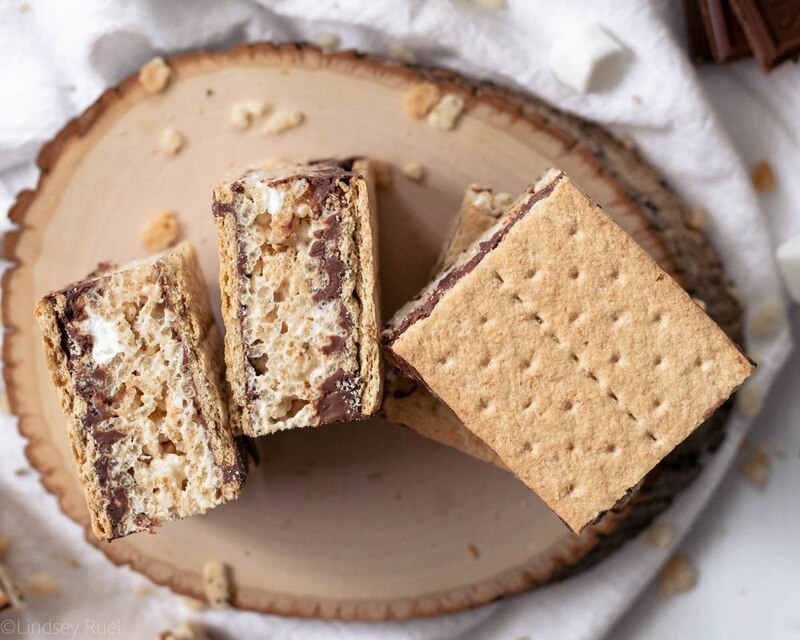 Dump the Rice Krispie mixture over the chocolate coated graham crackers. Use a spatula to press the mixture down into an even layer the covers the entire surface. Melt the remaining chocolate and spread over the Rice Krispie treats. While the chocolate is still melted, press the remaining graham crackers on top so that they are attached to the chocolate. Let cool for at 30 minutes or until the chocolate has hardened. Cut into squares, using the top graham crackers as a guide. Serve immediately, or store in a zip top bag until ready to serve.